A new Highland tourist trail inspired by the famous Route 66 in America has been named one of the best coastal drives in the world. Despite only being launched in March this year, the North Coast 500 has been bracketed alongside the Pacific Coast Highway in California and the Amalfi Coast in Italy. The Highland route was named fifth best in the world by a leading travel magazine – beating the Coral Coast in Australia. It starts at Inverness and goes across the west Highlands to Applecross then up the coast to Ullapool, taking in spectacular scenery. It winds its way up to Durness and over to Caithness and John O’Groats, before joining the A9 from Wick and heading back south to the Highland capital. 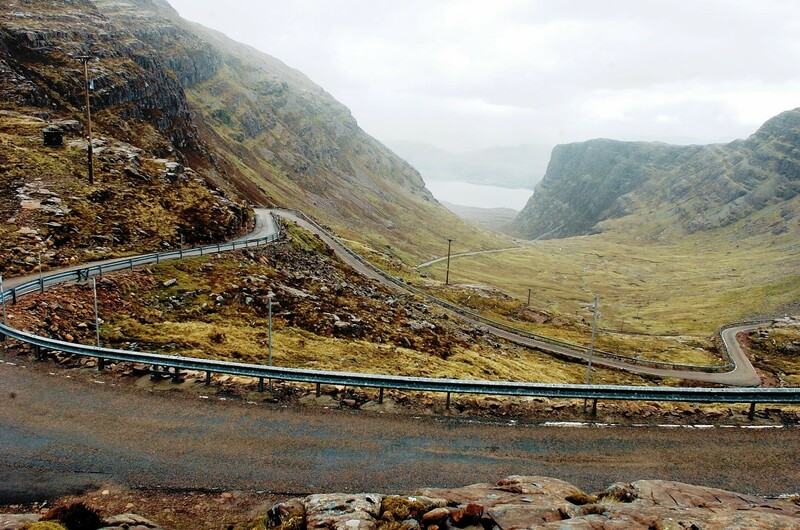 The route takes in a number of stunning views such as the twisting Bealach Na Ba road to Applecross, beautiful mountains such as Suilven and Ben Hope and a string of breathtaking beaches. It is being marketed by the North Highland Initiative with the aim of showcasing the beautiful landscape as well as everything the region has to offer. Project manager, Claire Farquhar, said: “We are absolutely thrilled with the recent news that the North Coast 500 has been recognised as one of the top six coastal routes in the world. Mike Cantlay, chairman of VisitScotland, said: “There really is nothing quite like the open road, and whether by car, motorbike or bicycle, this particular route really does take in some of the most picturesque parts of our beautiful country. “People travel from all over the world for Route 66, and with our scenery, there’s no reason why the North Coast 500 can’t prove to be just as popular and we are delighted to hear it has been named as one of the top six coastal road trips in the world.